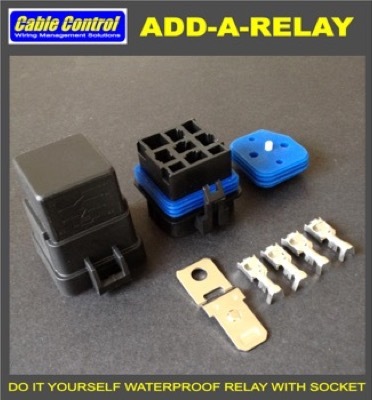 Cable Control Add-a-Relay 4 Pin waterproof relay with socket. 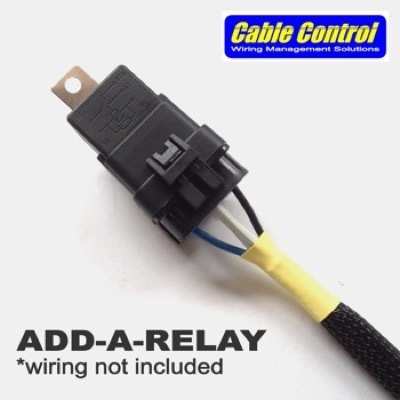 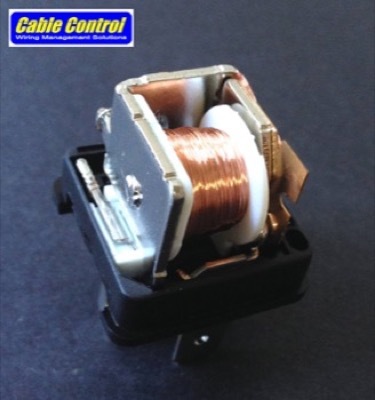 Cable Control's add-a-relay allows you to customize your own relay socket by direct connection, eliminating spliced wires that create the possibility of multiple points of failure. 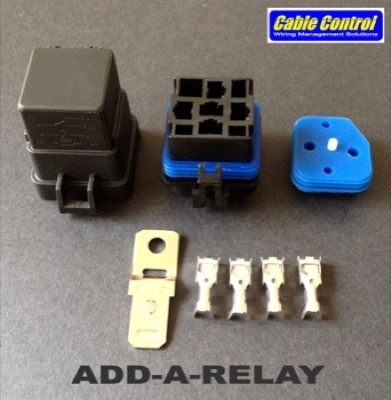 Now you can mimic oem style relay banks, perfect for the meticulous do-it-yourselfer / auto electrical jobber. 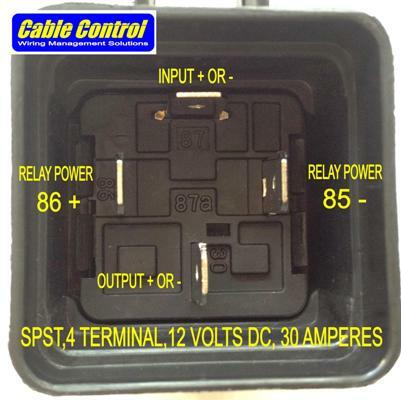 Sold as set only. 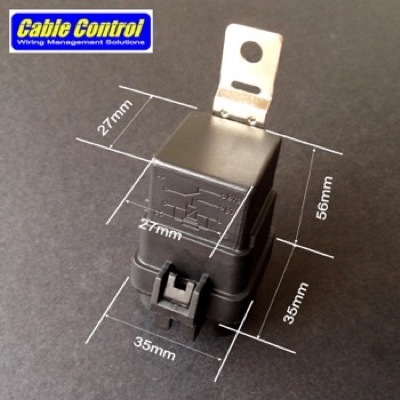 Socket will fit Bosch/Hella relays, but the relay to socket link will not be waterproof. 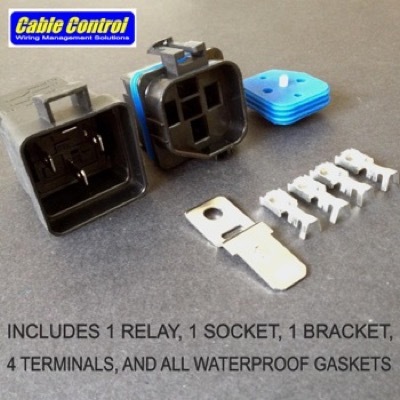 Again, sold only as a set. 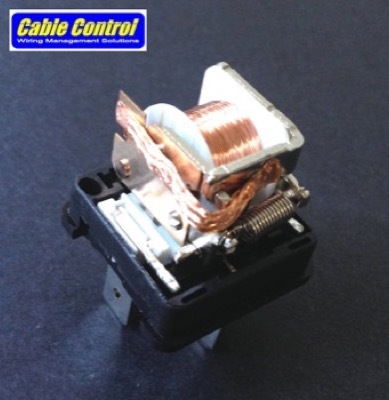 Wiring not included. 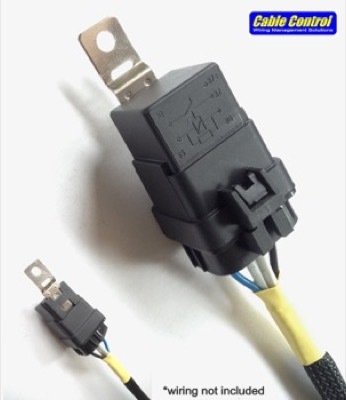 Will accept up to 12awg wire. 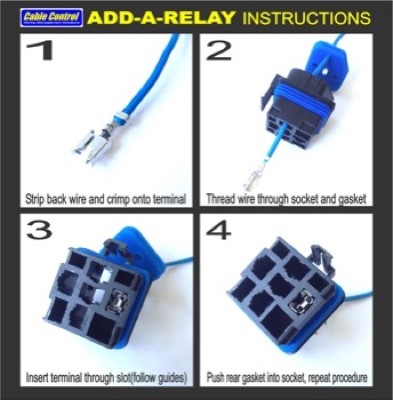 For larger gauge wire, bottom gasket holes will need to be enlarged.